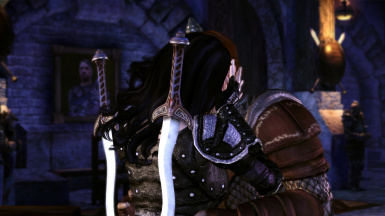 Gives the human noble the option to say goodbye to Ser Gilmore. Friendly and romantic options available to both genders. In the human noble origin, Ser Gilmore, a knight in service to the Couslands and good friend of the human noble, willingly sacrifices his life by holding the gate so the human noble can escape. He stays behind knowing it will mean his death or worse. In the game, the human noble doesn't get to say 'good-bye' or even 'thank you' to the man that saves their life. 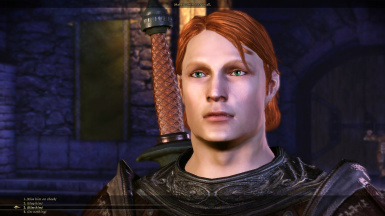 This mod will give the human noble the chance to say farewell. 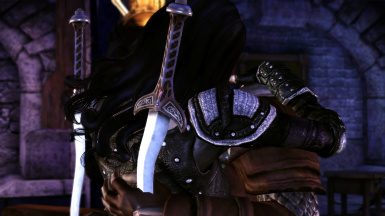 Female human nobles have the option to give Ser Gilmore a hug, a kiss on the cheek or a passionate kiss. 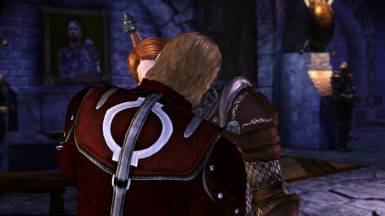 Male human nobles have the option to give Ser Gilmore a hug, a kiss or shake his hand. In addition, there are slight dialogue modifications to make the earlier conversations with Ser Gilmore more logical and immersive. 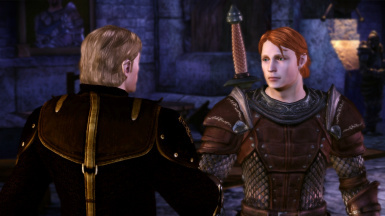 When confronting Howe in the dungeon of the Arl of Denerim's estate during the 'Rescue the Queen' quest, it will add a variety of dialogue options for a Human Noble. Extract the files and place into the override folder. Main file can be installed anytime prior to entering the main hall after the castle is attacked. Mics files can be installed anytime before talking to Fergus. There is no need to start a new game. Simply delete from override. Can be done at any time. 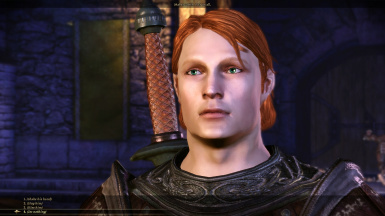 Mod is compatible with everything I know of, including Ser Gilmore NPC and Karma's Origin Companions. If no options appear at the gate, check override folder for any copies of 'bhn100cr_gilmore.dlb/dlg' and delete them. If not, then delete, re-download and re-install. If still no option at the gate, then please leave a comment saying that you already searched your override and re-downloaded and then what the mod is or is not doing and the other mods you are using. If such information is not present in the request for help, it will be ignored until the necessary information is included. Big hair and massive armor may clip. 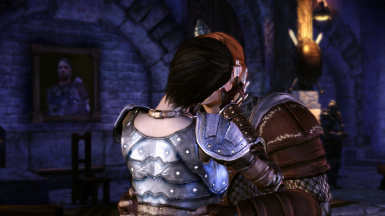 If using modded armor, especially ported armor, it is possible that there will be clipping with the hands in the kiss scenes. Thanks to Beragmont29 for testing and moral support! Maker smile upon you, my friend!